More than 5,000 children whose parents have been either detained or deported are languishing in foster care right now — facing threat of permanent separation from their families. The Applied Research Center has just released the report Shattered Families: The Perilous Intersection of Immigration Enforcement and the Child Welfare System, which offers the first national data available on the perilous intersection of immigration enforcement and the child welfare system. ARC’s Investigative Research package includes a poignant video and Colorlines.com articles, which bring to life the story of one family trying desperately to stay together. 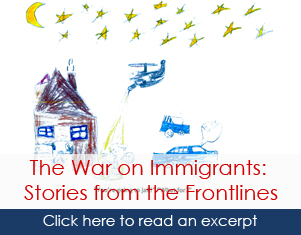 Americans for Immigrant Justice contributed to ARC’s research. Shattered Families provides evidence on the scale and scope of this growing national problem. ARC identified at least 22 states across the country where children in foster care are separated from their parents because of immigration enforcement. “Shattered Families” analyzes these problems, identifies key barriers, and presents policy recommendations for Department of Homeland Security, various levels of legislature, state child welfare departments, and juvenile dependency courts on how we can better protect families from separation and reunify families in a timely way. Communications Manager Rebekah Spicuglia at media@arc.org or call (646) 490-2772.